73 pages | 8 B/W Illus. Idea for those studying advanced macroeconomic and written by a widely published author, this book outlines a new and more fruitful way of understanding, analyzing and formally modelling economic growth. 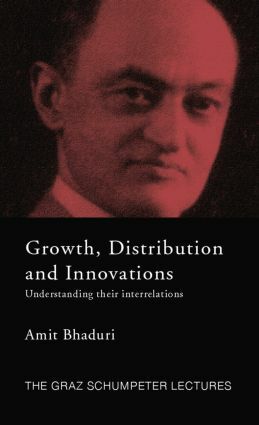 In his series of lectures, collected here in one concise and engaging book, Amit Bhaduri draws on contemporary issues such as the role of competition policy, labour market flexibility and intellectual property rights regime in influencing the rate of economic growth to sketch an alternative approach to mainstream growth theory. the principles of effective demand according to Keynes and Kalecki. It is an invaluable tool for anyone engaged with growth and distribution theory and technical innovation, as well as taking advanced macroeconomics.